As you've probably already read on all the other Valentine's post I've shared recently, I can't get enough of celebrating the day of love so today I want to share a super simple DIY Valentine idea! Whether you are looking for Valentine's for your little one's to share with their classmates that aren't just the regular ol' store bought variety or you want to surprise your coworkers with something a little cutesy - these FREE printables are the perfect little reminder that you care! 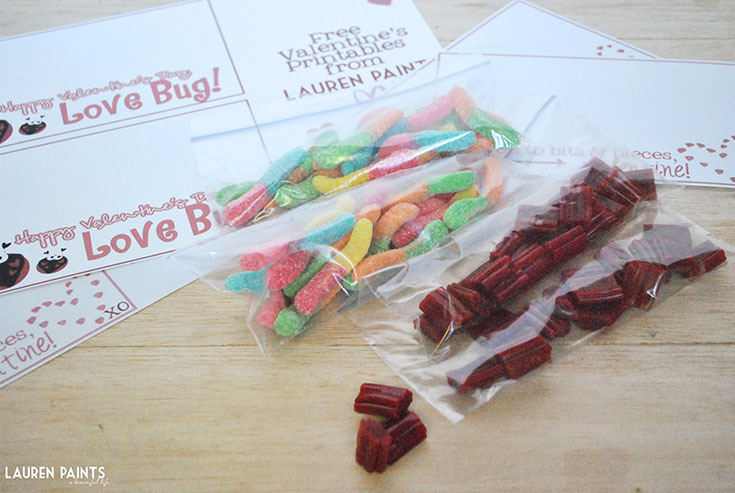 I made two printables, one that I paired with twizzler bites that says "I love you to bits & pieces" and another that says "Happy Valentine's Day, Love Bug!" that I attached to a whole baggie full of gummy worms! You can download the printables here. These are super easy to make. 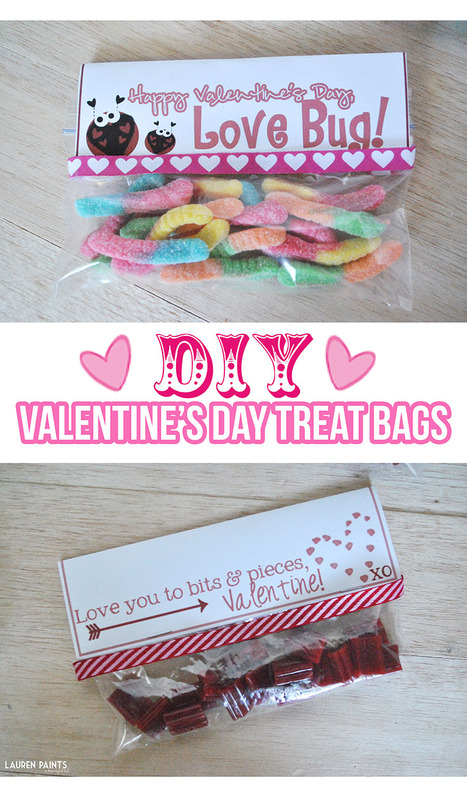 Just cut the printables, place candy in bags and staple the printable to the baggies! 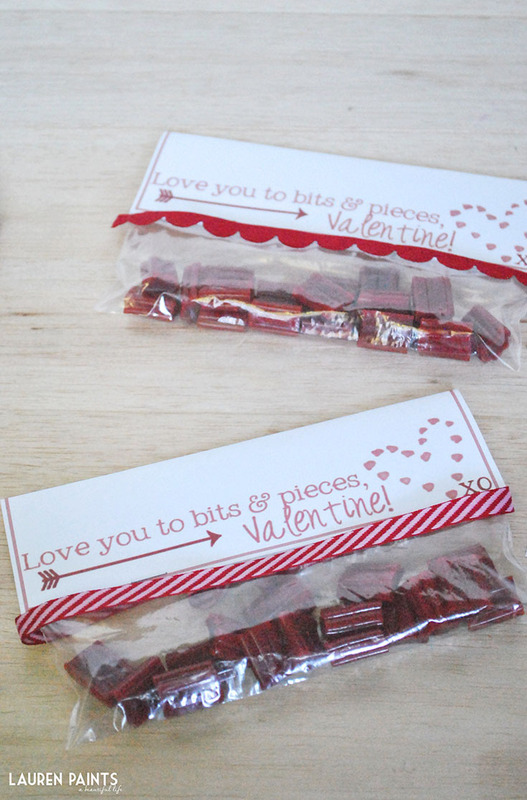 If you are looking for a last minute classroom Valentine idea, this is an amazing option! 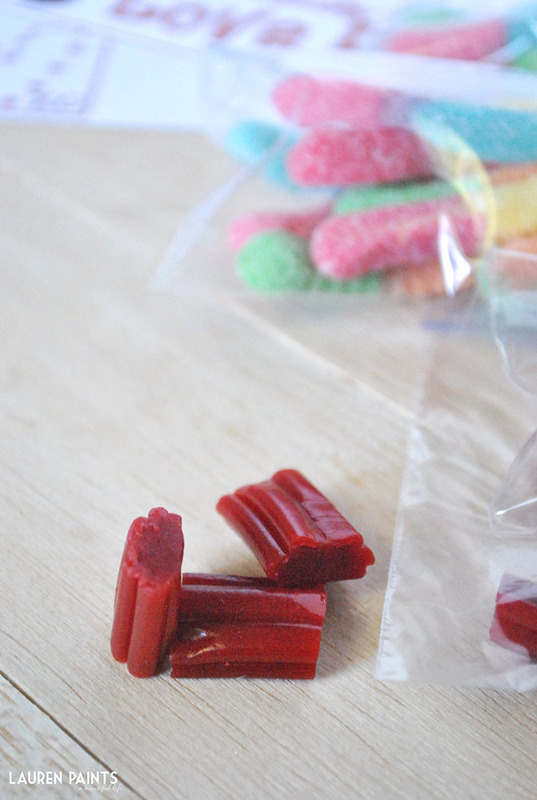 Especially because you can find both candies at the $1 store! 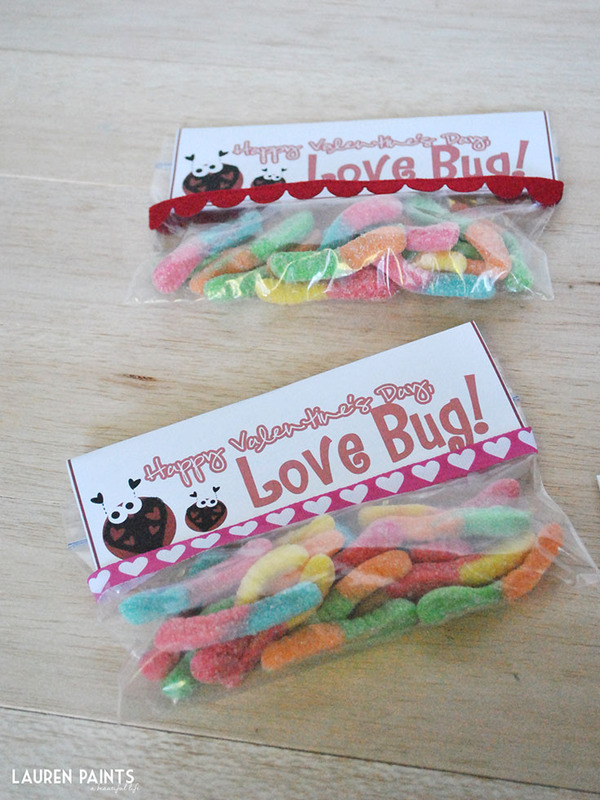 Everyone deserves to receive a Valentine, maybe even hand these out to strangers to make their day brighter! I'd love to hear who you plan to surprise with one of these cute little reminders of love?